SHORT EXPLANATION: At upper right, a virus particle lands on the cell surface and is then taken into the cell. The genetic information of the virus is released into the cell and heads for the cell's nucleus (where the cell's genetic information is housed). From the nucleus, the viral genes direct the production of new viral components. These collect together at the cell surface and form themselves into new virus particles. 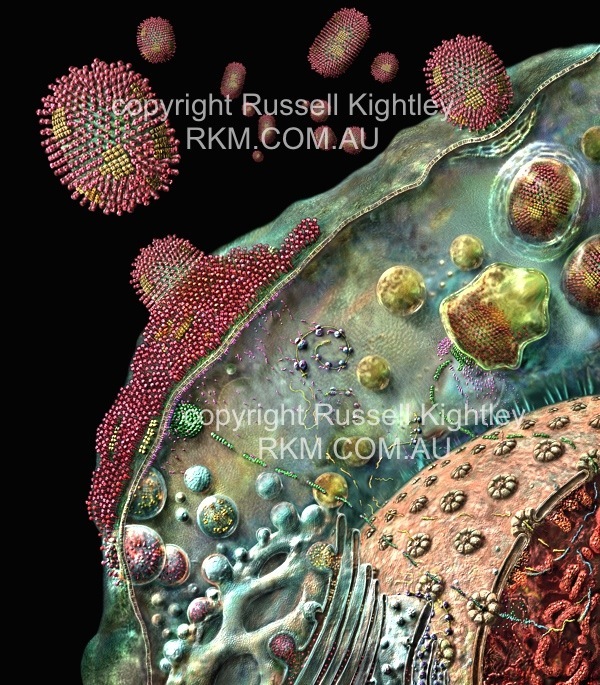 The newly forming virus particles bud from the cell and are released to infect other cells.